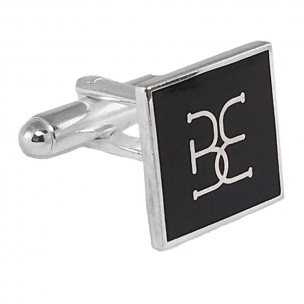 If you are looking for great ideas to promote your business, consider custom cufflinks! We are dedicated to providing you the highest quality in promotional goods to help you keep your company name in front of your customers. 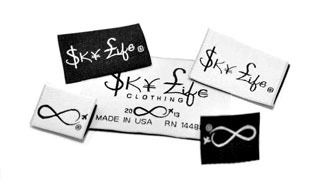 For years, our professional designers have been working closely with customers to create personalized clothing labels, patches, lapel pins and more. And now our service extends to customized cufflinks. 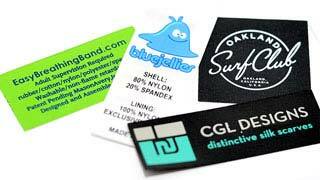 When attending tradeshows or considering corporate gifts, offer something unique! Millions of men purchase suits each year. A beautiful pair of cufflinks make the ultimate fashion statement. 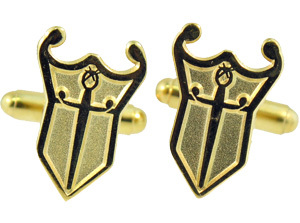 Your cufflinks can be made in silver, gold or bronze plating, as well as nickel and rhodium. 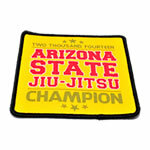 They can be sandblasted or antiqued for that special look. 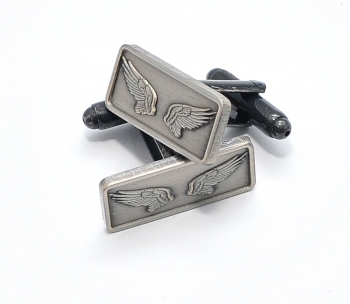 Cufflinks are made using the same processes as lapel pins, so if you are interested, browse around our lapel pins page for more information. 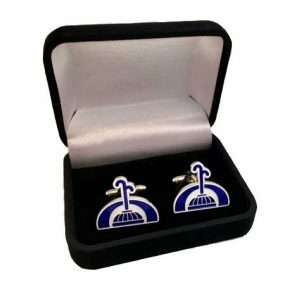 Creating a cufflink is simple as adding an attachment to the back of your lapel pins, so if you are buying lapel pins with your company’s logo, why not create a set of cufflinks from them? You will be glad you did. They will speak tons of your company from day one. 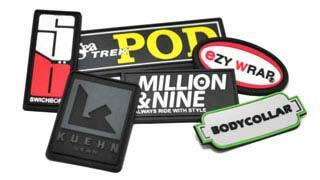 Do you know of many people that’ve had cuff inks made from their company logo?They will impress everyone. 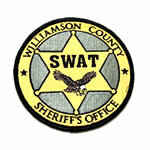 And all for just a little extra fee on your lapel pins. 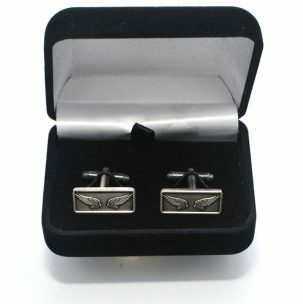 If you work in a corporate environment you can certainly use promotional cufflinks with the company logo. The minimum order is the equivalent to 50 pairs. 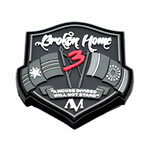 You can transform one order of lapel pins in a lot more: not only you can create cufflinks, but money clips, golf ball markers, hat pins and more.